In this post I will explore logistic regression, a technique used to predict class membership given some set of parameters. The method of exploration will be though an example, in which I will building a classifier to predict candidate acceptance into ML University (fictional) given their performance on two entrance exam scores. 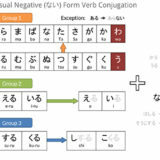 For the sake of brevity I will leave testing of goodness, and regularization for a future post. Usually the first step in the analysis process is to get familiarized with the format and integrety of the data. In this case the data is already well csv (comma separated value) format, and I know before hand that the first two columns contain the first and second exam scores, and the third column contains the applicants admittance (yes=1, no=0). So the first step will be to read in the data, and list the some summary statistics. 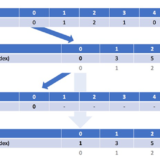 It is worth noting that the first step would actually be to look at the raw data file to determinie what format it is in, and what data types should be used for each column. 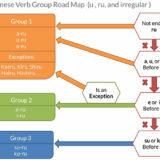 In this case I know the data format before hand, so I have skipped this step. The data set contains 100 records. The minimum and maximum scores for both tests are bounded by [30, 100]. The mean and standard deviation are close in value for both exams. 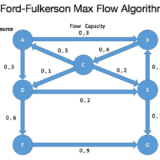 The next step will be to plot the data to determining if a linear classifier is appropriate for classifing this dataset. From the above plot we can see that the data has a clear boundary, and logistic regression can indeed be used to model the data. 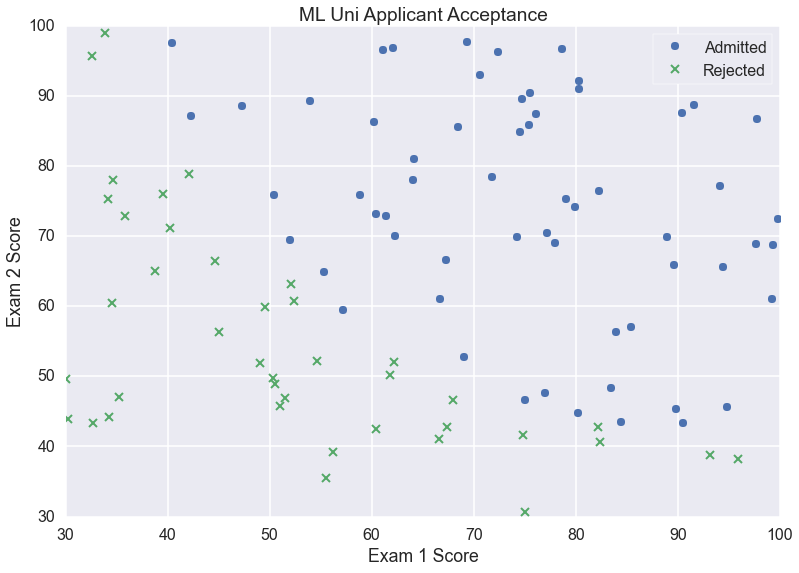 The next step will be to determine what function can be best suited to provide us with a method to predict an applicants acceptance to ML Uni. 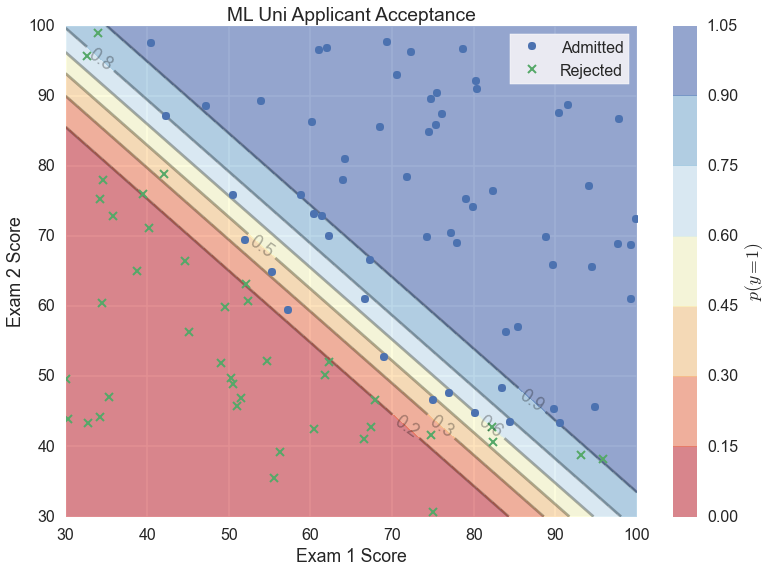 The primary goal of our hypothesis is to predict an applicants likeihood of getting in to ML Uni. given their entrance grades. In other words, it should return a number between 0 and 1 representing the likelihood of accepted. A plot of the sigmoid function will better serve to illustrate why the sigmoid function is a good choice for this problem. From the plot we can see that the sigmoid function asymptotes quickly about 0, and the co-domain spans the interval (0,1). 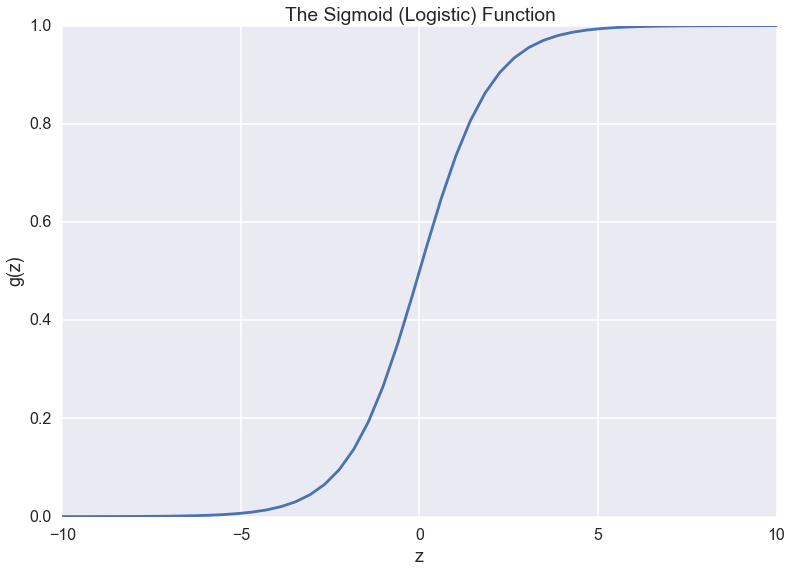 Thus we can interpret the output of the sigmoid function as a probability. 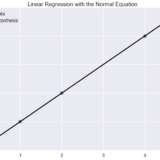 As before a plot will serve to illustrate how the cost function minimizes the parameters for the hypothesis. 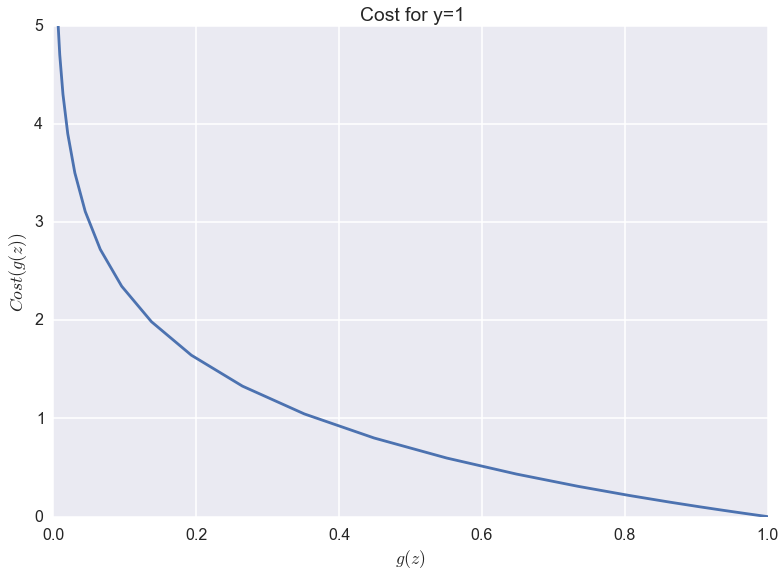 The first plot of the cost function will be for the case where the target is one (y = 1). This represents the case where the applicant is accepted. We can see that the cost function for y=1 has the desired behavior of increasing the cost when the prediction nears zero, and decreases it when it approaches one, the target prediction. 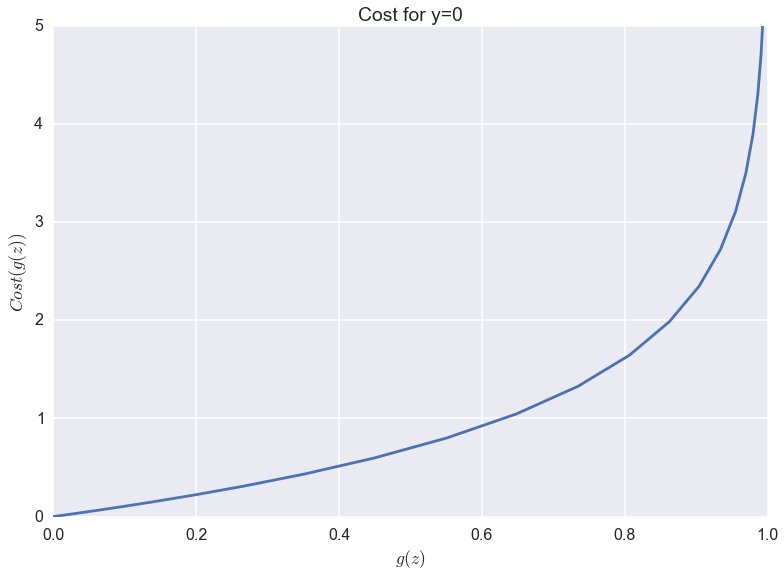 We can see that the cost function for y=0 increasing the cost when the prediction nears one, and decreases it when it approaches zero, as expected. Now that the hypothesis and cost function have been determined, the next few steps will be to prepare them for the minimization process. Below is an simpler, yet equivalent, representation of the piecewise cost function. As with linear regression, to facilitate computation, the cost function will be tranformed to an iquivalent matrix expression. In this implementation a scipy minimization function will be used to find the optimal parameters for the hypothesis function. This minimization function will be provided a reference a jacobian gradient function that will return both the cost and the a gradient. It’s worth noting that the gradient is nearly identical to the left most term used in the theta update calculation for linear regression. Below is the gradient equation in matrix form. To minimize the cost function the training data must be extracted into the design matrix (X), and target vector (y). 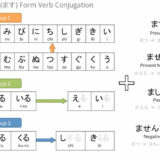 Also the initial parameters (t) are chosen for the minization function. The numpy minimization function will be provided with a jacobian gradient to compute the cost and gradient. The definition of which is below.
""" Calculate and return the cost function and gradient for the given thetas. tuple (float, numpy 1-D ndarray): The calculated cost, and gradient. #       this the theta 1-D (n, ) vector is reshaped into a column vector (n, 1). jacobian_gradient: Function which in each iteration of the minimization proccess to calculate the cost and gradient. jac=True: Flag indicating that the jacobian gradientwill return both the cost and the gradient. args=(X,y): The second and third parameters passed to the jacobian gradient function (Note: x0 is the first param). # Note: x0 must be a 1-D array. success: True if the optimizer completed successfully, otherwise False. A contour plot will be used to visualze the output of the prediction function with the optimal parameters in place. This will give us a better idea of the likelihood distribution across various grades. The dicision boundary is along the 0.5 line in the above plot. As expected a majority of the accepted applicates lie this boundary, and a majority of the rejected applicates lie below. Also the likelihood rapidly converges to near 1 above the boundary, and converges to near 0 below. 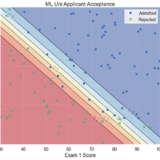 In practice machine learning libraries are used to implement logistic regression. In this case I will use logistic regression to reduce the above stepts to two lines of code. The results are nearly identical, with a fraction of the work. In the next post I will explore regularizing logistic regression.